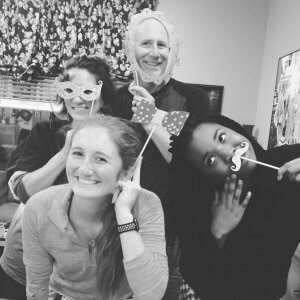 The Mettler family: Addie, April, Alexis and Greg. Greg and April Mettler both played sports in college—football for him at Sonoma State and softball for her at Santa Rosa Junior College—both in Northern California. 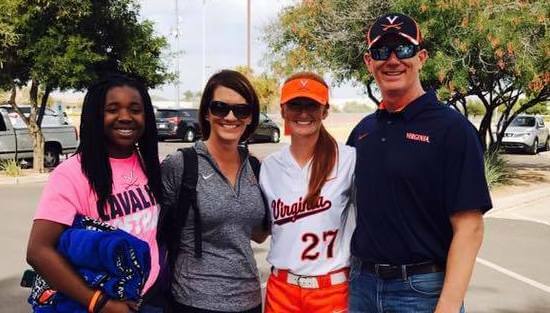 Eventually the married couple would get into coaching youth fastpitch softball as their oldest daughter, Alexis (now 21 years old), would grow up to be a four-time All-Conference honoree and All-State selection as a senior before she'd go on to play for the University of Virginia. But that wouldn’t be the end of their softball journey nor their family increasing in size—far from it, for the mom, dad and athletic daughter who live in Turlock, California. The Mettlers having fun for New Year's. 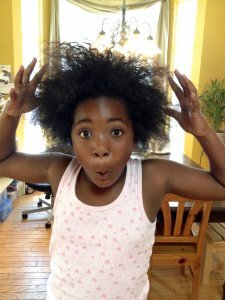 The Mettlers felt they needed one more addition to make their family complete, but it wouldn’t be easy, for it would entail a white family of three opening their arms to adopting a young black girl in foster care. 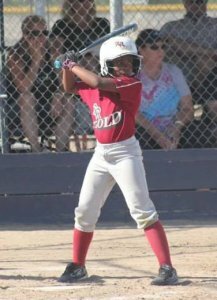 Here’s the heart-warming story of how a beautiful two-year-old came into their lives and today is starring on the softball fields for her parents’ Firecrackers team as one of the top players in the 2023 class and an Extra Elite 100 candidate. In 1997, April and I became first-time parents when Alexis Mettler was born. After a few years we felt it was time to add the final member to our family as we had both always wanted to have two kids. What we took for granted with having the first child became the beginning of an emotional, sometimes heart-breaking, but ultimately amazing journey that would bring Addie Mettler into our lives. For approximately eight years after our first was born, April and I tried for a second. We visited doctors, tried Invitro but nothing worked. As we continued down the path for our second child, through the tears and the heartbreak, we never once wavered knowing our family was meant to be four in number. What gave us strength was the amazing support of family along with the love and support from our oldest, Alexis. We finally realized that our second child was already born… God had just not connected us yet. Once we decided to head down the adoption path, it started a journey for us that is indescribable. Crazy hair for a crazy kid as Addie shows her personality even at a young age. You began a process that makes you ask yourself questions you never thought to ask. You are asked about the obvious issues such as gender and age. Then comes the tough questions: what medical issues you are ok with? Would you take on siblings or not? and the biggest, are you open to adopting a child of a different race? Though we were open to all races, you begin to ask yourself if you are ready to face things that, as a child, you never had to deal with due to race. But in the end, all those questions that seemed so significant in a sterile office setting disappeared. All the concerns about what you are ready for or not disappears. The answer was clear: the day came when we were introduced to this beautiful young girl, only a few months shy of turning two-years-old. A young lady who, the moment she waddled into the room, stole our hearts. This was the day we met Addie. One cannot describe the feeling of seeing a child walk into a room and knowing immediately God destined her to be part of our family. For us, it could only be described as your heart being a puzzle and the final piece was just put in place. Addie did not have the easiest life up to that point. She was removed from her biological family’s care due to neglect and for her safety. When most kids would be growing up surrounded by love and security, Addie was placed in to the foster care system, a system that is staffed by some incredible social workers with a near-impossible job. We knew we wanted her in our lives and began the adoption process. A few weeks later, April received a call while I was away on business. It was happening the very next day and I’m not sure how they did it but in one night April and Lexi converted our spare room into a princess room. Addie, we found out, LOVED the Little Mermaid. The day she joined our family Addie came with just one outfit and one toy, but also one of the most amazing spirits to grace this crazy world.